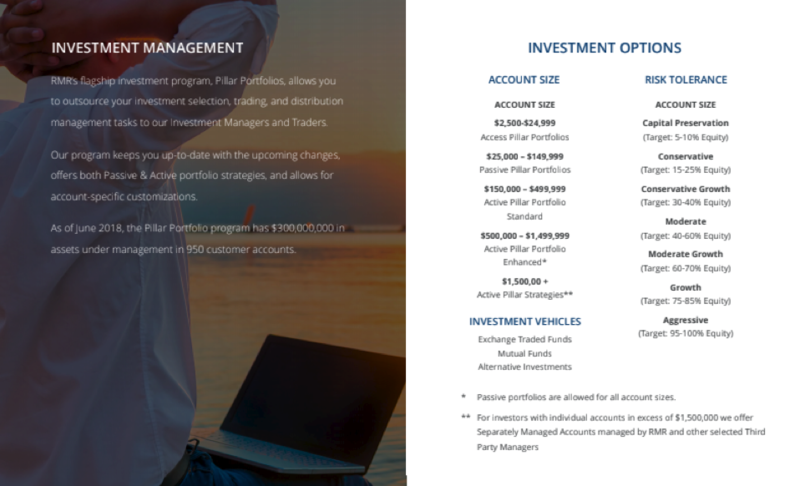 How to Meet your Investment Goals with Pillar Portfolios | RMR Wealth Builders, Inc.
Every one of us has a unique set of interests and financial goals. Finding the right balance of investments to help ourselves get the things we want varies from person to person. It is very common that we collect a variety of investments over time that tend to look more like a messy closet in need of some spring cleaning instead of a well-organized and thoughtful plan. An important part of the formula of getting to our goals is growing the value of our assets to create enough to meet your basic goals. RMR manages a platform, Pillar Portfolios, through a disciplined approach that brings the focus of investment management back to a simple and structured process which can help you to stay focused on attaining your goals and can organize the messy closet of investments you have collected. Discuss with your RMR advisor how much risk is required in your investments to attain the long-term rate of return needed to meet your goals, select your risk tolerance, and be on your way! HOW MUCH RISK IS NEEDED TO GET YOU TO YOUR FINISH LINE? The discipline of the RMR portfolio design is focused expected rates of return. Instead of your account only being concentrated in one particular area of the market, the Pillar Portfolios are diversified amongst many areas and blended in varying degrees of more conservative (Fixed Income) and riskier (Equity) assets. Our portfolios are designed to limit overall volatility and produce an average long-term rate of return that is commensurate with the risk being taken. What this means to you is less of a seesaw effect to get a reasonable rate of return giving you more peace of mind along the way. In addition, RMR provides online tools that come with your account that includes investment goal tracking, online reporting, account aggregation, and budgeting. There are all the requisite tools for educating yourself and staying informed about your financial position. An informed investor is a smart investor that is more likely to be successful on their journey to financial independence. 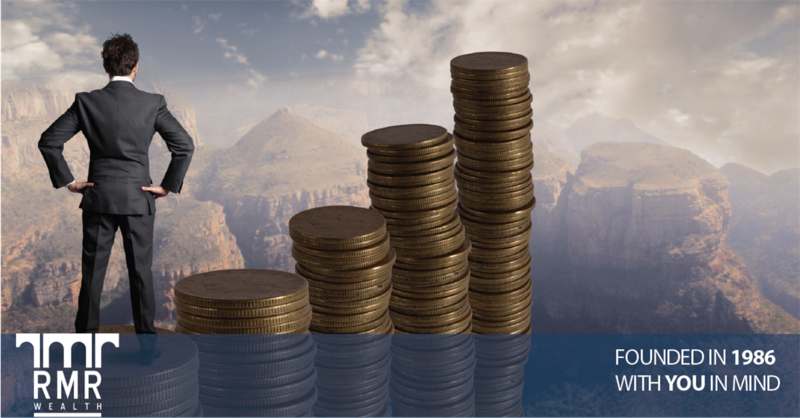 RMR Wealth Builders has over 30 years experience securing the financial futures of many. Through our principles of integrity, honesty, diligence, service, responsibility, accountability, values and ethics, we are the firm you can trust. Get started today.